GameTap is moving its "technical and support team" from Atlanta to France as part of an effort to shift its focus away from retro gaming to more recent and popular releases. We'll answer the obvious question right off the bat: Yes, GameTap is still in business. 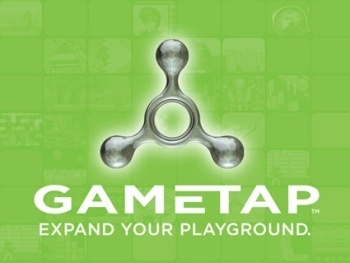 Don't feel too badly if you didn't know; things have been quiet on the GameTap front since Turner Broadcasting, which launched the service in 2005, sold it to French online gaming company Metaboli in 2008. It's limped along since, struggling with a fluctuating game catalog, problematic software and, worst of all, a general lack of interest from the public, but now it looks like some big changes are coming. GameTap's Atlanta operation, a "technical and support team," will be closed down at the end of October in favor of a "global support center based in Europe." The company's San Francisco office, meanwhile, will hire ten new people over the next year to "strengthen [GameTap's] presence with major U.S. partners, distributors or publishers." Also coming at the end of October is an update to implement new download technology and make all games 64-bit compatible; currently, only some GameTap releases will run on 64-bit versions of Windows. The GameTap name may even be dropped entirely as the service attempts to shed its retro-gaming reputation. "We need to show that we have moved forward and that we now offer a wide range of recent PC games," a GameTap rep told Joystiq. "Some old PC games will be replaced by more recent PC games or by some casual games. Our decisions were taken based on our gameplay statistics, which is much better than our own opinion about the games or the opinion expressed by some of our users on the forum. We offer what people play." GameTap and Metaboli differ from conventional digital distribution services by offering access to their entire catalog based on a monthly subscription fee. GameTap's "Premium Pack," for instance, costs $9.95 per month for access to its entire catalog of titles. Among the new titles coming to the service following the October update are Avatar, Assassin's Creed 2, Street Fighter IV, Tomb Raider Underworld and Tom Clancy's EndWar.